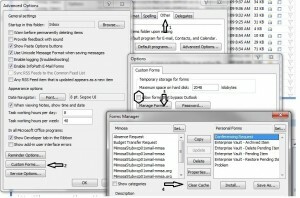 Form cache curruption is a MS outlook issue. 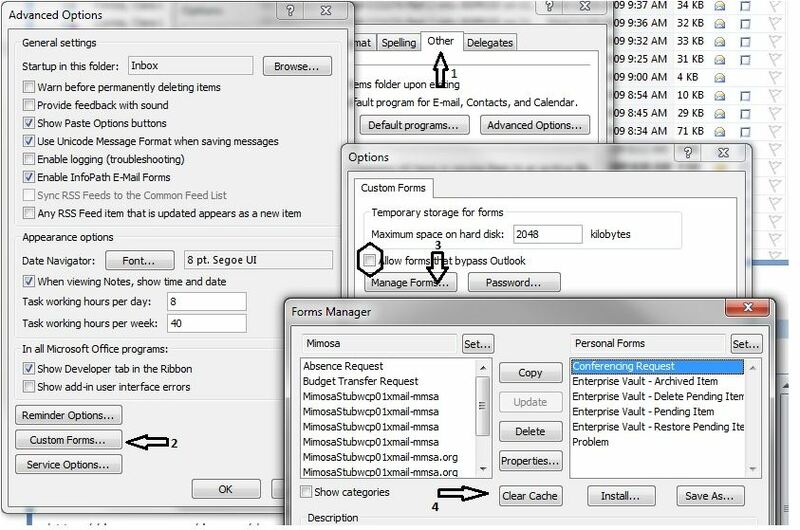 NearPoint has in-built tool to clear the cache (mentioned in the documents). That would help to clear the form cache. Wher can I get product suport for Mimosa NearPoint ? I have a system and need some help. I am in Wester Mass. What kind of support? Do you not have a support contract with them? Thanks I will take a look. I think at time I was experiencing the issues they didn’t have the tool.